As part of our all-round service, Restore A Roof offer comprehensive roof repairs to all domestic and commercial customers. 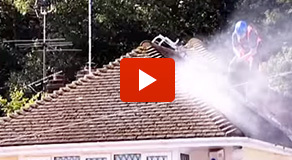 Damage to roofing can be caused by a number of different things, including moss and algae build-up, extreme weather conditions and vandalism, and in many cases minor faults can evolve into big problems very quickly. Restore A Roof’s expert roofers are able to carry out all roof and gutter repairs, as well as an extensive range of roof refurbishment, which includes all tile repairs and refits, repointing ridges, fixing any damaged timber frames, and touching up all aesthetic features. Any waste from roof renovation will be removed at the end of the job, leaving you free to enjoy your new repair or refurbishment immediately. Our efficient team cover the areas of both Nottingham and Derby. 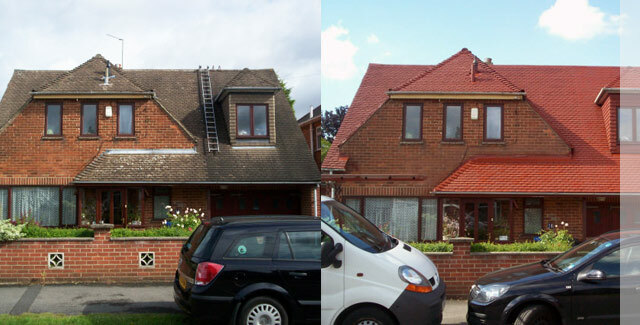 See our roof restorations in our gallery showing our latest projects. © Restore A Roof 2019 All Rights Reserved.